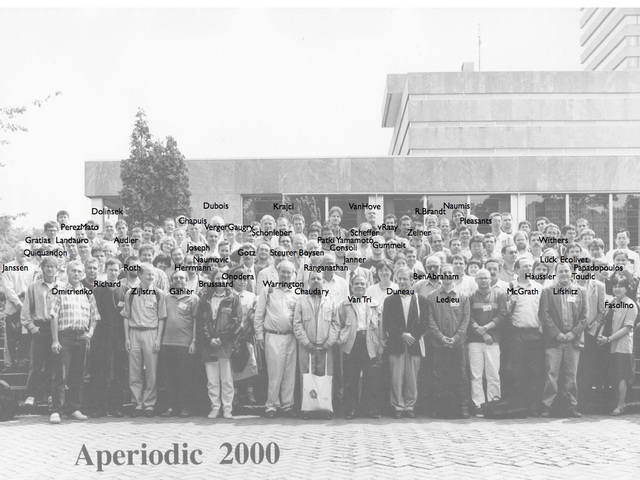 This conference, the first under the name 'Aperiodic', continued the tradition inaugurated by the former series of International Conferences on Modulated Structures, Polytypes and Quasicrystals (MOSPOQ) which took place in Marseille (1984), Wroclav (1986), Varanasi (1988), and Balatonszéplak (1991). 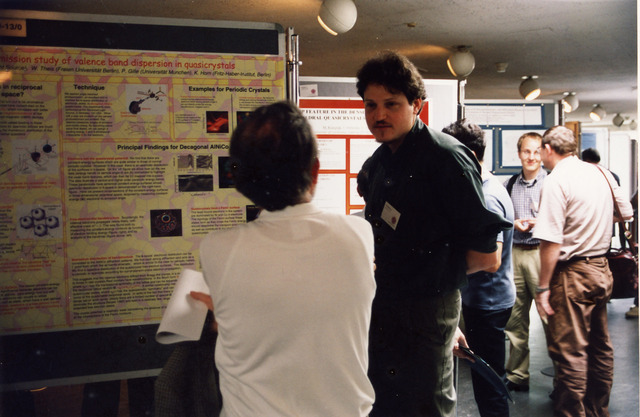 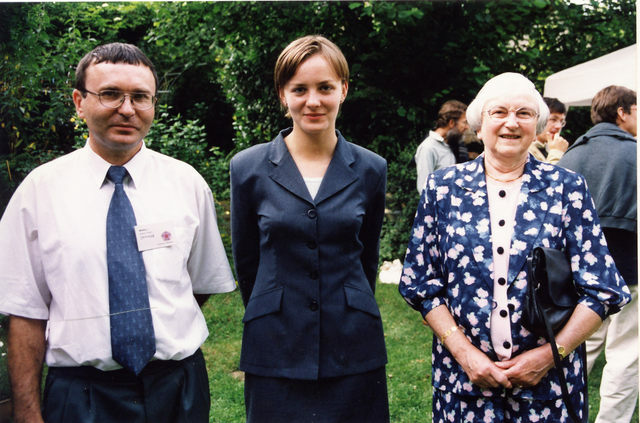 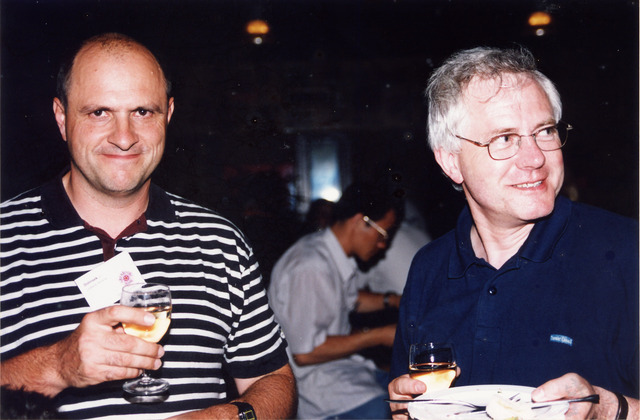 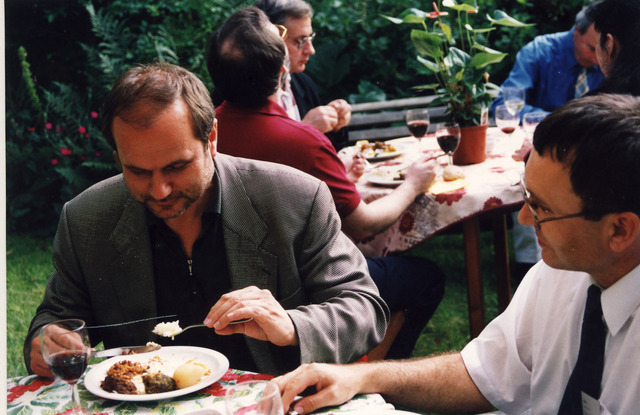 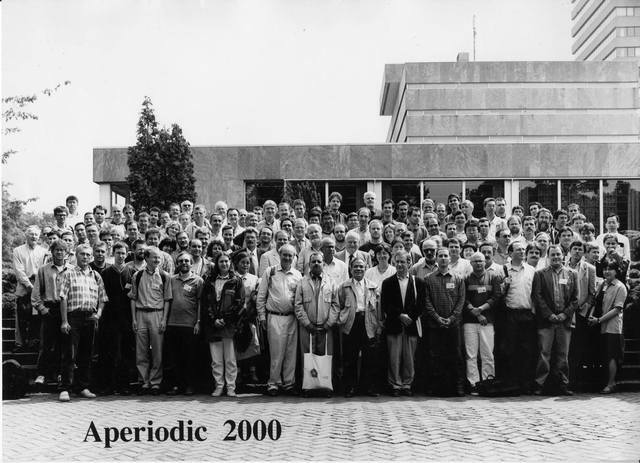 Since then, the Aperiodic conferences continue to be held on a triennial basis (Les Diablerets, 1994; Alpe d'Huez, 1997) under the auspices of the IUCr. 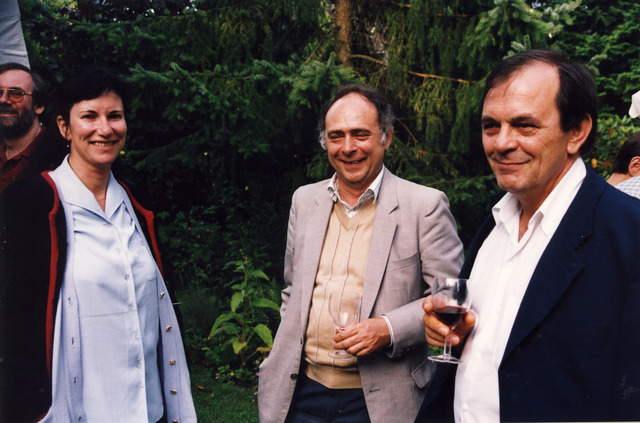 J. Wolny, M. Wolny, R. Janner. 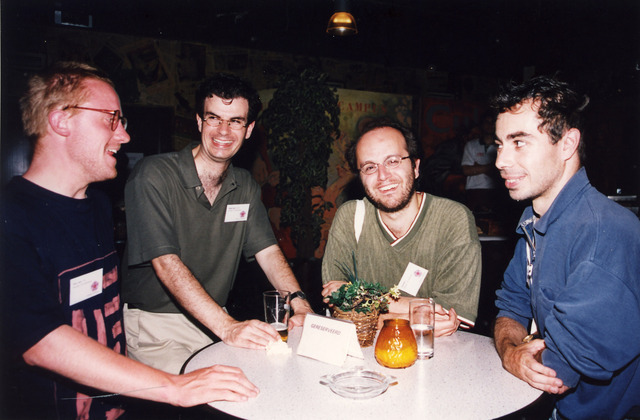 F. Gaehler, M. Quiquandon, D. Gratias, M. Audier. 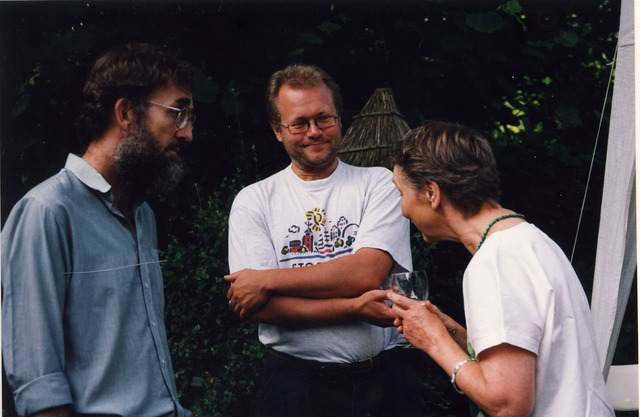 R. Withers, S. Lidin, L. Janssen. 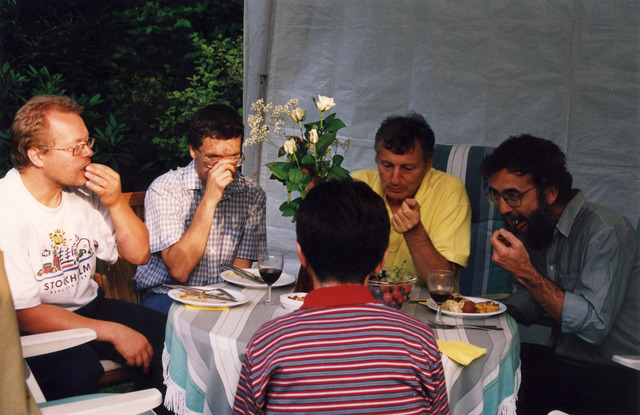 S. Lidin, B. Toudic, G. Chapuis, C. Ecolivet, J. Hlinka, J. M. Perez-Mato. 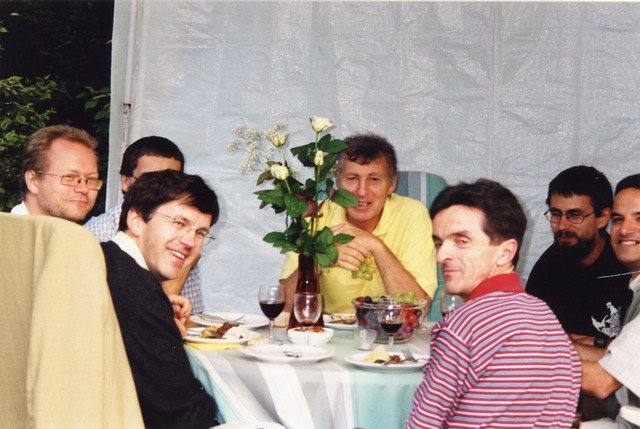 S. Lidin, M. Dusek, C. Ecolivet, G. Chapuis, R. Withers. 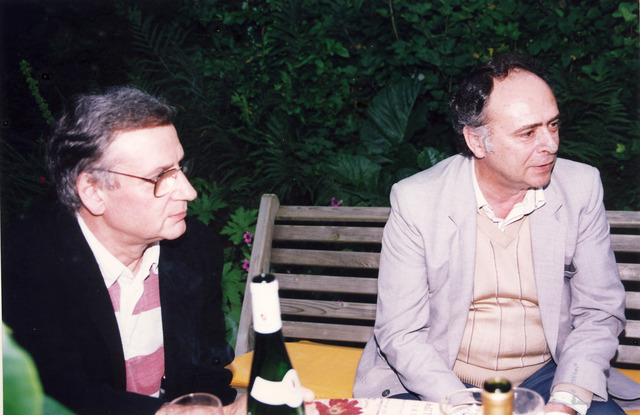 C. Ben Abraham, V. Dmitrienko, T. Janssen. 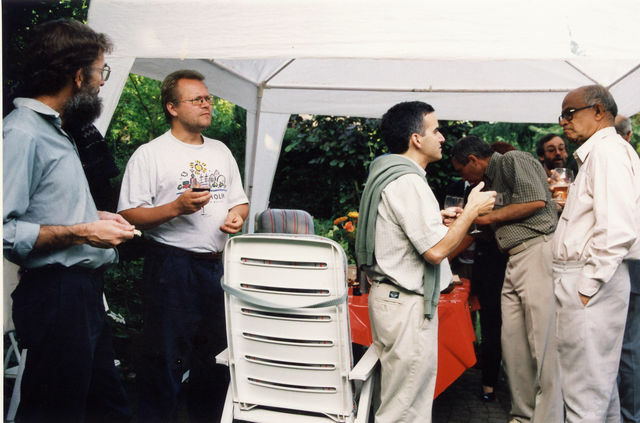 R. Withers, S. Lidin, J. M. Perez-Mato, S. Ranganathan. 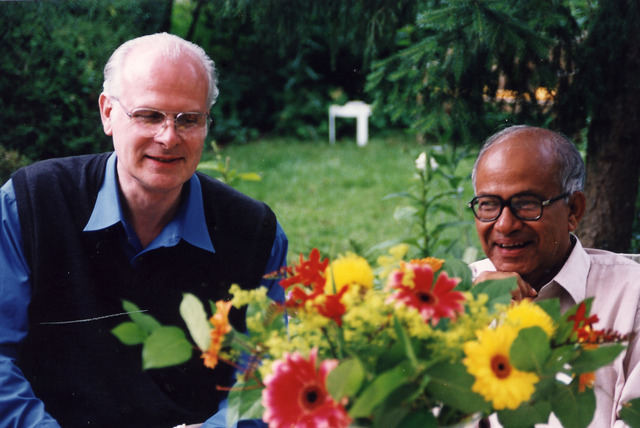 M. Van Hove, S. Ranganathan. 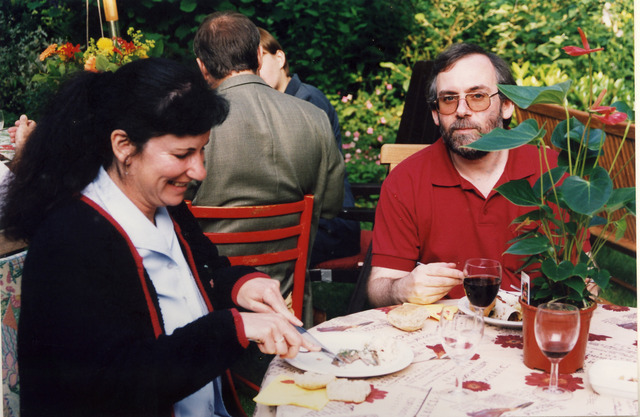 S. I. Ben Abraham, C. Ben Abraham, J. M. Perez-Mato. 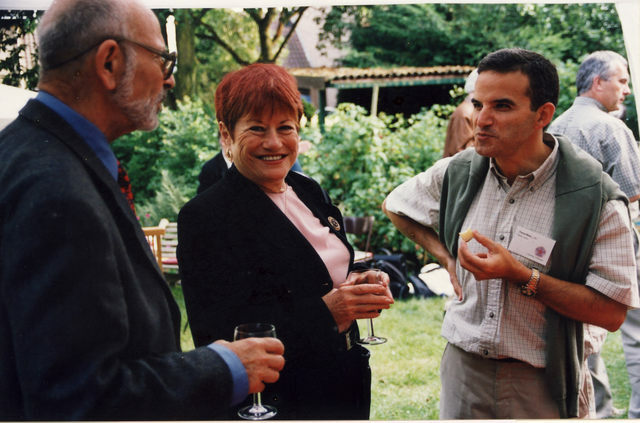 J. Dolinsek, J. M. Dubois. 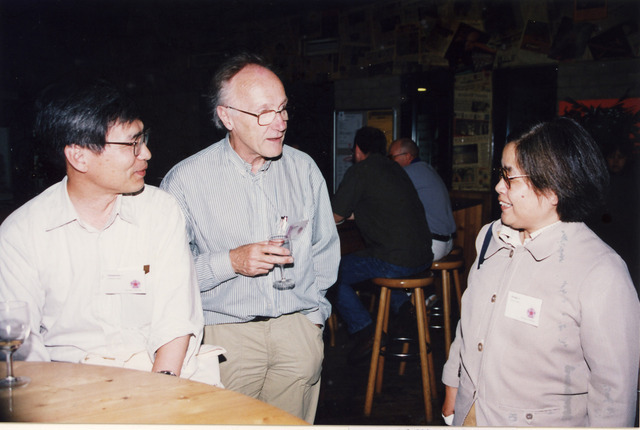 A. P. Tsai, Y. Pan, A. Schoenleber, G. Chapuis. 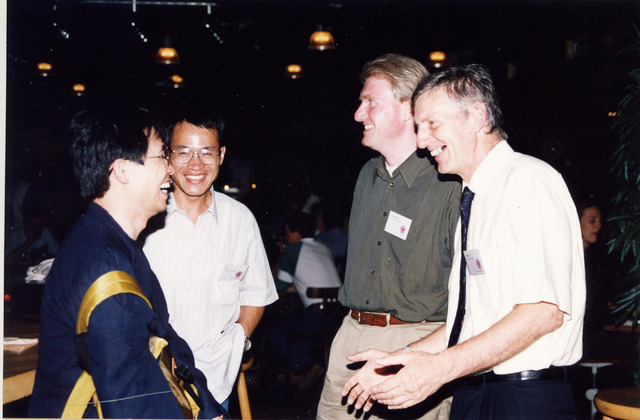 A. Yamamoto, T. Janssen, M. Onoda. 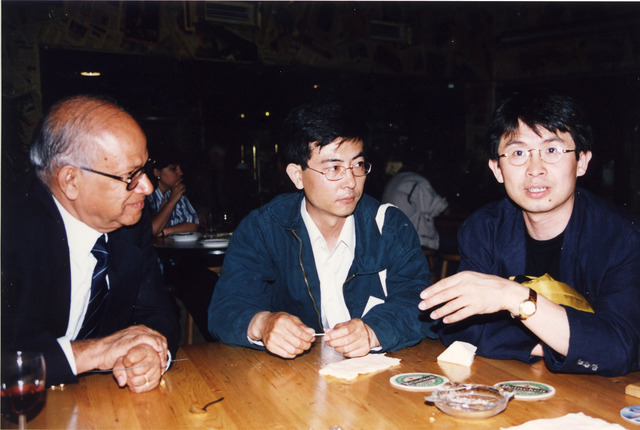 S. Ranganathan, F. Yu, A. P. Tsai. 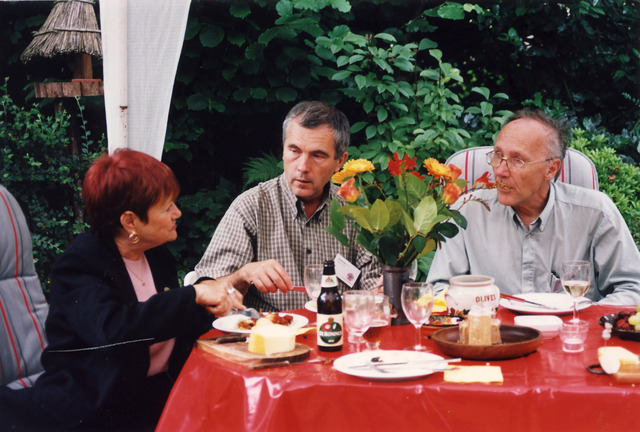 T. van Erp, G. van Raaij, L. Consoli, P. Zeiner.